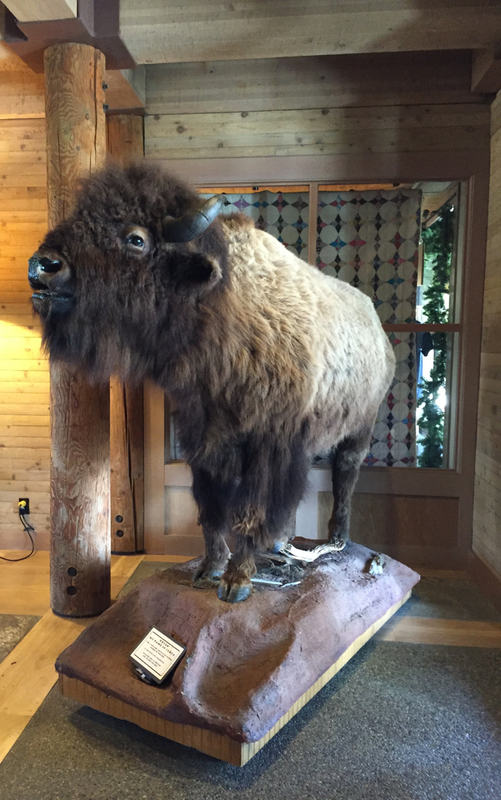 This North American bison from Wyoming greets visitors just inside the door at Sun Mountain Lodge. The Methow Valley has one of the largest herds of mule deer in the country. 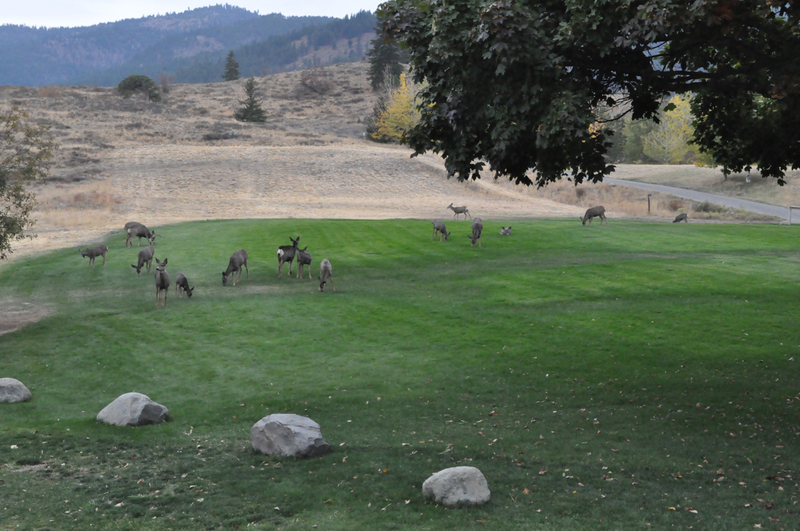 A good portion of them gather to graze on the lawn of Sun Mountain Lodge. 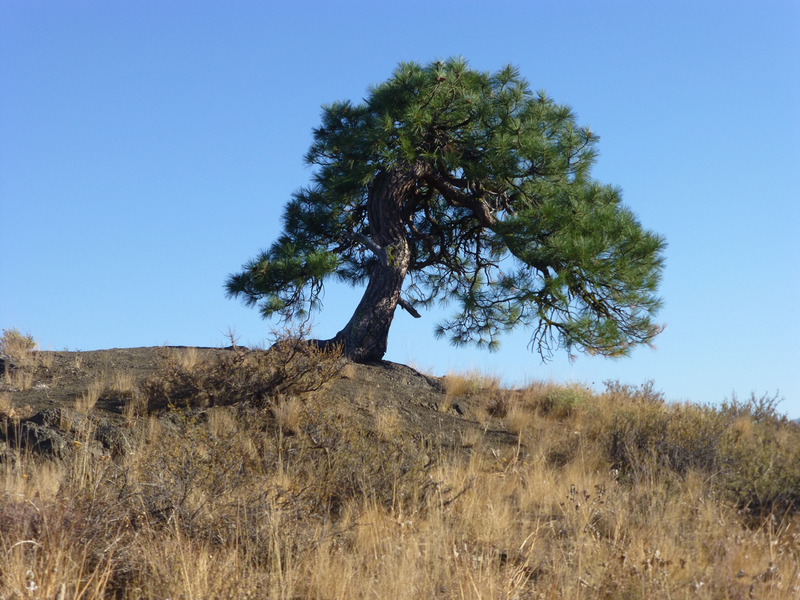 Just a bit behind the deer in photo #2, this Ponderosa pine sits atop a hill. Because it is growing from a crack in the rock, it has remained small. It reminded us of a bonsai tree.